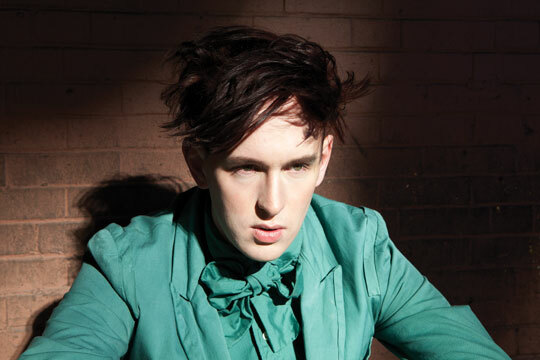 With the release of Patrick Wolf's new single "The City" only one week away, now seems like as good a time as any to unveil the track listing for his new album, Lupercalia. Lupercalia, due May 31st on Hideout Recordings/Mercury Records, will be Wolf's first foray into major label territory. Not only did Wolf write and produce the entire album but he also plays a variety of instruments on the disc, including Viola, Piano, Appalachian Dulcimer, Epiphone Guitar, Baritone Ukulele, Moog Opus 3 and Timpani. Wow! Quite impressive. Preceding the album release in May, Wolf is set to release "The City" on March 14th. The hook-driven single, which really showcases Wolf's unique vocal style, has been building great support at British radio and is looking to be a big hit for the talented singer/songwriter from South London. Chart success isn't something that's come easily for Wolf, but that honestly doesn't seem to be a factor in doing what it is that he does. For Wolf, it's all about the music and all about the performance. The Magic Position, Wolf's best selling album to date peaked at #46 on the UK Albums Chart and at #42 on the Billboard Top Heatseekers chart back in 2007 with the album was originally released. Wolf's follow up, The Bachelor managed to peak at #49, just three spots down from The Magic Position. Wolf's most successful single to date is 2005's "The Libertine," taken from Wolf's sophomore album Wind In The Fires, peaked at #67 on the UK Singles Chart. The title track from Wolf's third album, The Magic Position peaked at #69 in 2007. Let's hope that with a little help from a major label Wolf can jack up his mainstream cred with the release of "The City" and the subsequent release of Lupercalia. While cult status isn't something to scoff at, major nationwide radio play and CD sales couldn't hurt the 27-year old singer/songwriter. Wolf has worked with a diverse range of artists, everyone from Florence Welch and Marianne Faithfull, to Tilda Swinton and Nan Golden. Most recently, the legendary Patti Smith invited Wolf to join her band for a few performances, including one celebrating the life of controversial photographer Robert Mapplethorpe. More recently, Wolf joined Smith on stage for a short series of dates in the UK. Quite the honor! "The City" is the second single taken from Lupercalia, the first of which, "Time Of My Life," was released late last year. While there's no word yet on whether Wolf will release his new album in America, U.S. fans can relive all of the classics on iTunes by clicking HERE. UK fans can pre-order the new album HERE. Just for good measure, check out the video for "The City" below. AMAZING! Let's hope this doesn't change a bit when she comes over and begins her Aphrodite Live 2011 Tour in North America. Check out the video montage below and get a sense of what the experience will be like when Kylie lands in North America. Check out a full list of Tour Dates HERE and get your tickets if you haven't already. I'll be at the Boston show so I hope to see you there! Surprise surprise. We have another quality pop group from Sweden. The Sound of Arrows is a Swedish electronic music duo made up of Oskar Gullstrand and Stefan Storm, both from Gävle, Sweden. "Nova," the duo's major label debut single, will be released April 25th through Geffen Records, featuring remixes by legendary Dutch remixer/producer Tiësto as well as the fabulous Almighty. Check out the track listing below for the "Nova" remix promo CD. 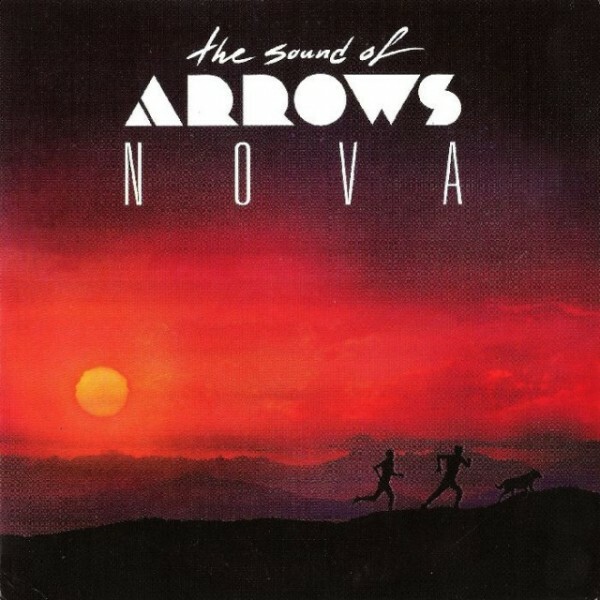 "Nova" is taken from The Sound of Arrows' forthcoming debut album, due out later this year. While this single might be their first on a major label, back in 2009 the duo had some success with debut UK single "Into The Clouds" which went on to do very well after it's release in September of 2009. The boys are also known to lend their talents to other artists, remixing tracks for Lady Gaga ("Alejandro"), Natalia Kills ("Zombie") and Alphabeat ("Hole In My Heart"). While we wait for the release of "Nova," why not check out the band's "Danger" EP featuring 3 tracks plus 4 remixes of the title track. Check out the "Danger" EP on iTunes HERE and watch the video for The Sound Of Arrows' new single, "Nova" below. Thanks mostly to his work with The Verve, Richard Ashcroft has one of the most instantly recognizable voices in rock. In the Giorgio Testi-directed video for new solo single "Are You Ready" Ashcroft further solidifies his place in my musical consciousness with an amazing live performance of the song, filmed at Shepherd's Bush Empire in London. 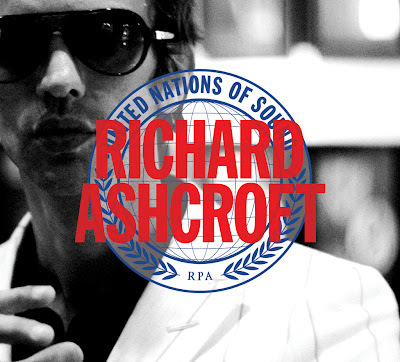 Ashcroft will release his first solo album in four years, United Nations of Sound on March 22nd through Razor & Tie Records. To celebrate the release of the album, Ashcroft will be playing two super special gigs in the States, one on March 23rd at the prestigious Bowery Ballroom in New York and one on March 24th at the Villa Victoria Center for the Arts in Boston (as part of the Jim Beam Live Music Series), marking Ashcroft's first live performances in the U.S. since 2008. In addition to his two shows on the East Coast, on March 22nd, Ashcroft will appear make a late night American television appearance, stopping by Late Night With Jimmy Fallon and jamming with his house band The Roots. Scheduled to perform "Are You Ready" live on the show, Ashcroft will also play a yet-to-be-announced second track exclusively for Late Night's official website. Fans can also hear the new single in cinemas, featured in the closing credits to the new Matt Damon film, The Adjustment Bureau, as well as another new track called "Future's Bright." The film is out now in the U.S.
United Nations of Sound features 12 songs produced by hip-hop producer No I.D. (Kanye West, Jay-Z, Common) who worked with Ashcroft "to create a huge sound that makes use of live orchestration, big beats and his widest range of influences yet." Sounds out of this world amazing! The album is already getting praised by the media, with Spin Magazine calling it a "fruitful collaboration" and Nylon Magazine calling the album "a commanding performance." Download "Are You Ready" on iTunes HERE and pre-order the new album HERE. Check out the video for "Are You Ready" below.